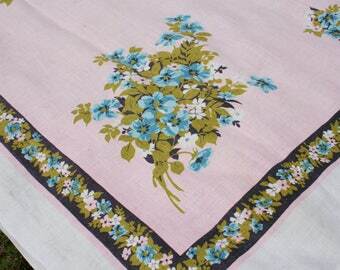 What a pretty set of vintage cocktail napkins! There are 6 in this set. They are white hemstitched linen and each is monogrammed with the initials O E. There are two each of lavender, black and white monograms. They are packed in their original box from J W Robinson Co. Dry Goods in Los Angeles. These could easily be used as hankies, too. So pretty! 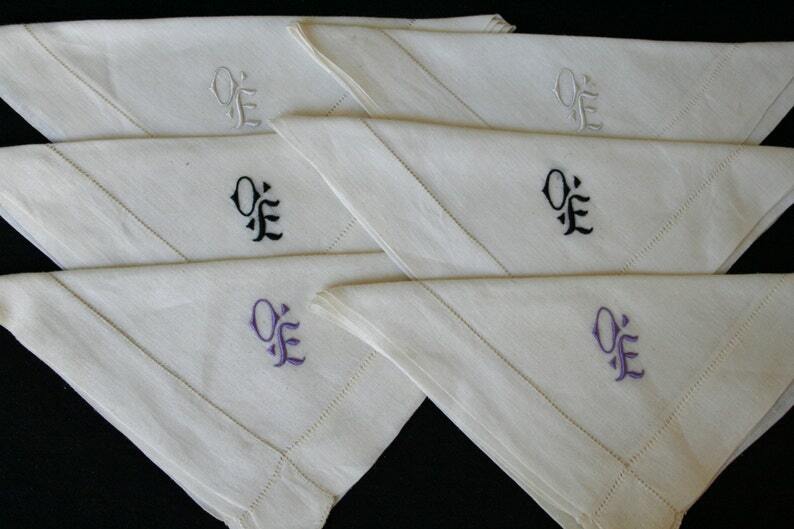 Each napkin measures approximately 11 inches square. All are in excellent as found condition, but they are a bit musty and need a soak to freshen.